Again we were within the Cour du Carrousel looking at the Aile de Marsan wing of the Musee du Louvre, when we took these high definition photos showing the statue of The Harvester. 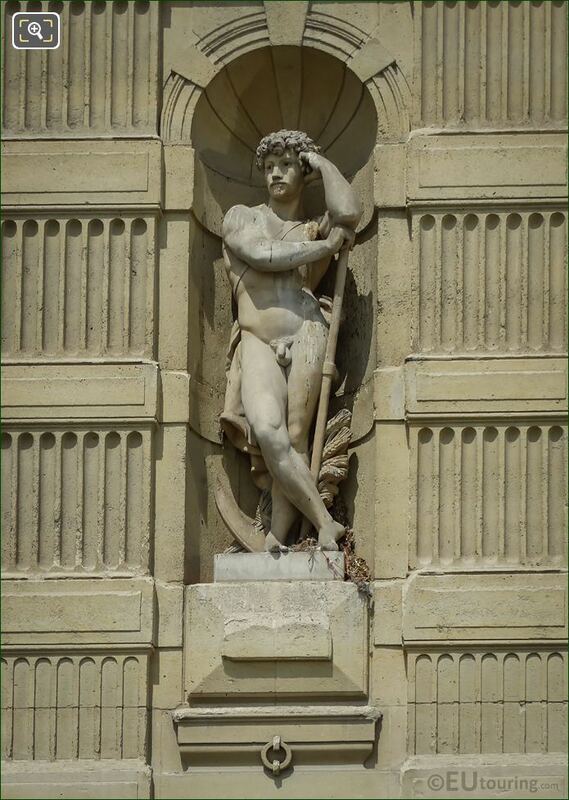 Now this statue is located on the first level of the Aile de Marsan wing, the fourth from the right hand side as you are looking at the facade of the Musee du Louvre from the courtyard. 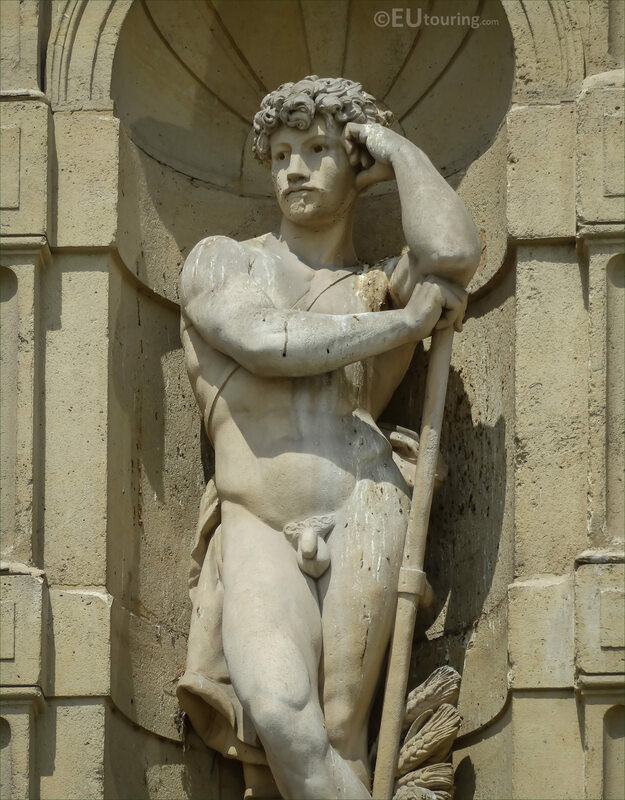 However, each of the statues depicts an allegory relating to something such as a trade, and this appears to be representing a Harvester, due to the scythe he is leaning on and the sheaf of wheat behind. 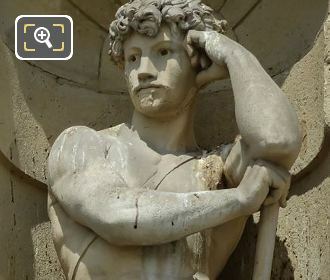 But unfortunately, we have been unable to find out who sculpted this allegorical statue, yet to give you a little more of an explanation, a bundle of wheat is called a sheaf, and a scythe, which is an old agricultural tool, sometimes spelt sythe or sithe, is what the male figure is leaning on, and this tool was always used to reap crops, before the age of farm machinery.